Johannesburg - Finance Minister Nhlanhla Nene on Thursday said reducing debt was one of the key elements required to turn around SAA, as the ailing national airline recorded a loss of R5.67bn for the year ended March 2017. Speaking after the airline’s annual general meeting, Nene stressed that cutting debt was going to be an “arduous journey”, but expressed hope in the ability of the new board to effectively implement the turnaround strategy. “Cutting debt is going to be a tall order, the difference between succeeding and failing lies in leadership,” said Nene. “This will involve tough decisions on the network and fleet plan, to revisit loss-making routes, including revisiting the frequency to specific destinations, as determined by market trends,” said Nene. Nene said the new SAA board would aggressively pursue the implementation of the new turnaround strategy with urgency. SAA has been struggling with a growing debt burden since 2012, which had threatened its viability. The company has over the years been a recipient of numerous government bailouts and loan guarantees, with growing calls for it to be privatised. In 2017, the Treasury extended a R3bn bailout to the airline to help it avoid defaulting on its loan from Citibank. Nene said the financial instability at SAA had delayed the holding of the annual general meeting for more than 18 months, with opposition parties in Parliament raising concern over the financial affairs of the airline. “I am encouraged by the new leadership…..we have mapped out the way forward to ensure that we succeed in this turnaround strategy,” he said. 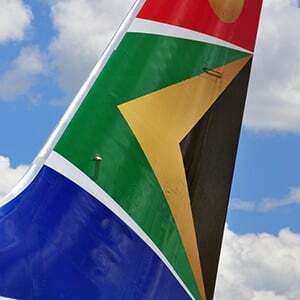 The airline said increased competition in the domestic and international market, and declining yields had slashed revenue, while operating costs rose by R3.360 billion, 11% higher than the previous year. The chairperson of the new board, JB Magwaza, cited lack of capacity, skilled staff and debt as some of the key elements crippling the troubled airline. The company said urgent attention would be given to filling critical positions, saying financial, business and commercial skills were needed in order to effectively implement the long-term turnaround strategy. “People have been in acting positions for a number of years, we are now looking at addressing that issue including getting the right people in management positions,” said Magwaza.